2011 is shaping up to be the "Year of The Landlord." As many people face the winter winds, we are reminded of a wise old saying. In the case of the winds of change in real estate, falling house prices and slow sales have challenged many sellers but benefited more than a few apartment building landlords. More people are choosing to rent but others can find no suitable alternative to apartment living. Everyone has their own reason for deciding to rent property rather than buy a home. Sometimes renting is the best choice for an individual. Indeed, many renters prefer the apartment lifestyle. After all, renting a luxurious NYC condo does not seem like such a bad deal. Even renting any apartment has its perks such as more flexibility in relocation and less maintenance responsibilities. Of course, other renters would sooner own a home. Often foreclosure forces homeowners to become renters. Sometimes potential first-time buyers discover that they cannot afford the financial commitment of a home. The Federal First-Time Homebuyers' Tax Credit is no more and not everyone has an "angel investor." Whether people choose to rent or have no other choice, landlords are gaining tenants. Banks and lenders are also smiling – especially if the apartment building owner had been previously under financial duress. Borrowing has become less expensive with low interest rates. This effect is noticed with commercial real estate of all types. The low rates have a positive effect on borrowing for office buildings, retail outlets, and company warehouses. 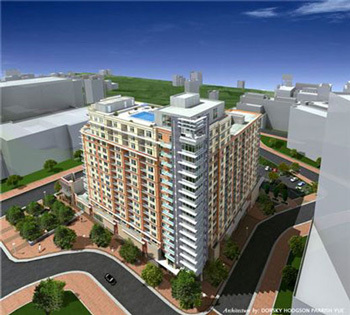 The apartment market, however, is the healthiest of the commercial categories – mainly because of cheap financing. Obviously, investors are interested in apartment buildings. Actually, 'flipping' properties is coming into vogue again. The practice of reselling quickly for profit is somewhat prevalent at all times. Yet 'flipping' is as popular now as in earlier thriving economic periods. This practice can have its place - if done responsibly for the right reasons. Illegal flipping, however, is a different matter. It involves scams, disregard for others, and a goal of profit at any cost. Apartment building values have risen to levels not seen since the middle of 2007. According to the brokerage firm Marcus & Millichap, values of apartment buildings rose 16% in 2010. Green Street Advisors, a research company tracking REITs, say that present values are now within 10% of their 2007 peak value. Of course, apartment values in major centers such as New York and Washington, D.C., have shown signs of recovery since 2009. Currently, increasing apartment values can be seen in additional markets including Los Angeles and Seattle as well as other U.S. cities. At the end of 2010, TIAA-CREF paid $62 million for the 261-unit Newbury Commons in Stamford, Connecticut. According to Real Capital Analytics, this sale price was 65% more than the amount paid by Seaboard Properties in February 2009. Apparently, even Las Vegas is seeing the high values. Keep in mind that Las Vegas was affected greatly by the economic downturn. Yet in December 2010, the Croix Townhomes complex in the Las Vegas Henderson suburb sold for nearly $20 million - $143,000 for each unit – a price even far above the national average. The 'apartment advantage' might be the start of the next big trend in investment property. Will 2011 Continue To Be The "Year Of The Landlord?"